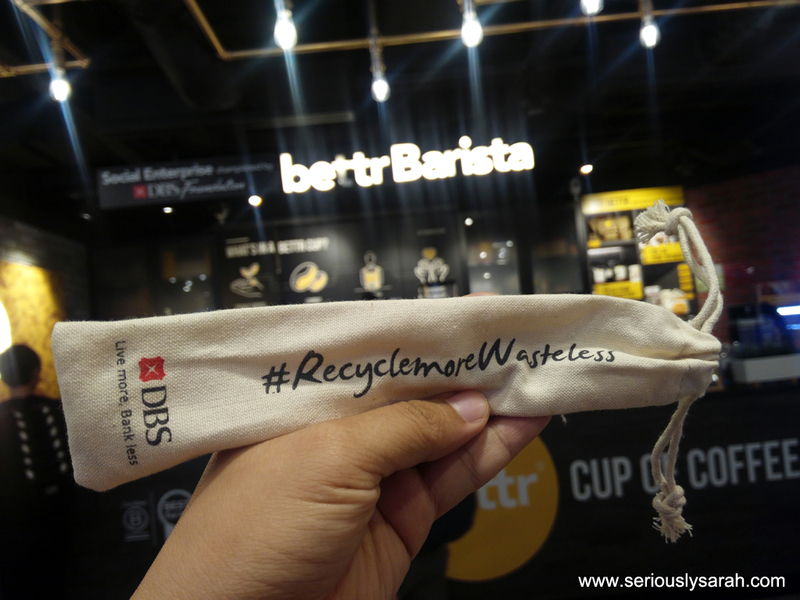 #RecycleMoreWasteLess is DBS’ movement to encourage Singaporeans to cut down on usage of single-use plastic. So that means trying not to use plastics that are single usage like those packet drinks, straws, your tapao packets at times too. 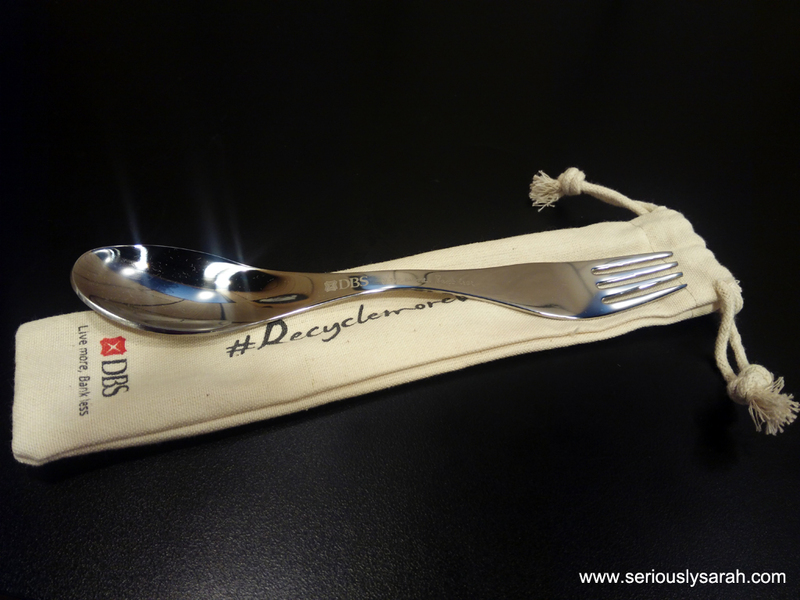 You can check their website more to know their 50 Days of Sporks where they have ambassadors going around the various hawker centres to let people know more about this initiative. 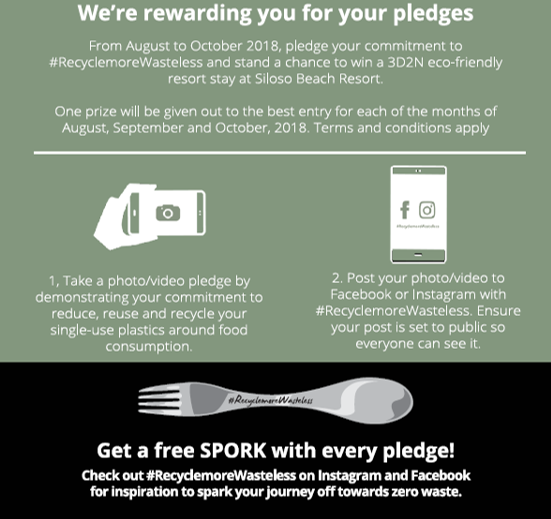 For every pledge received that is posted public to Facebook or Instagram, we will reward the pledger with a free, reusable Spork from DBS (see attached) and also a chance to win a 3D2N eco-friendly resort stay at Siloso Beach Resort every month from Aug to Oct.
Just take a pic of how you pledge to recycle more. Like bringing your own tupperware to put food in or your own cup. Did you know most fancy type coffee places let you use your own cup instead of using theirs? Sometimes I bring my own cup to the coffeeshop aunty and they’re cool with it too. #RecyclemoreWasteless that’s why I use an actual cup for my tea instead of a styrofoam one in the office. Can you all USE ACTUAL CUPS when in office and not disposable ones?!? A little bit helps a lot, you know. Ok. Ok. Besides that checkout the hashtag to see what others do in this campaign. That’s my pledge. Also me somewhat screaming cause I don’t want others to use disposable cups in the office when we have plenty of good reusable cups. So I went to Bettr Barista at Plaza Singapura and showed my pledge picture and got this! I’ll be packing it with my own regular tupperware for use. Or I can just put it in my bag and if Deliveroo or Foodpanda comes to the office, I can do the ‘no to cutlery’ option. Anyway go ahead and pledge! You might even win the resort stay at Siloso Beach. For now, try to just reduce your carbon footprint a little bit more? A little does help. After all, if a client says they have ‘small changes’ needed, you know those small changes still affect a whole freaking thing.